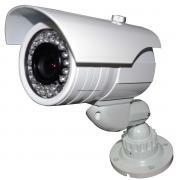 Thanks for notify us about Ad ID : 335946. 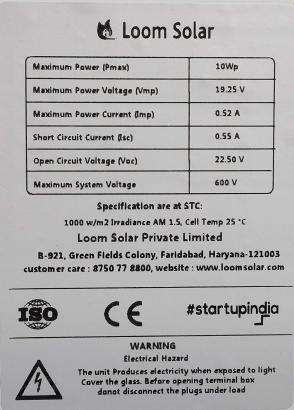 Loom Solar launches 10 watt solar panel for mobile charging using sun light. 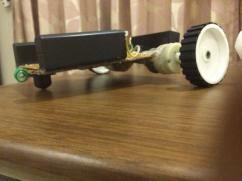 The panel is specially designed to charge small batteries up to 7 Ah or 7000 mAh. 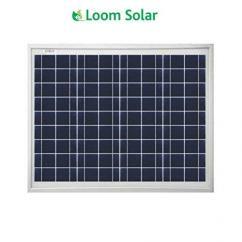 Loom Solar is India\'s premium solar brand that sell solar system including solar panels. 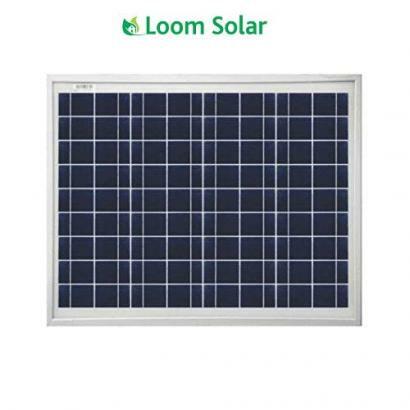 The 10 watt, 12 volt solar panel will provide enough power to trickle charge a 12V vehicle or deep cycle battery. Helps run pumps, lights, fans, and small appliances such as stereos, televisions and VCR\'s in caravans, boats or cabins.